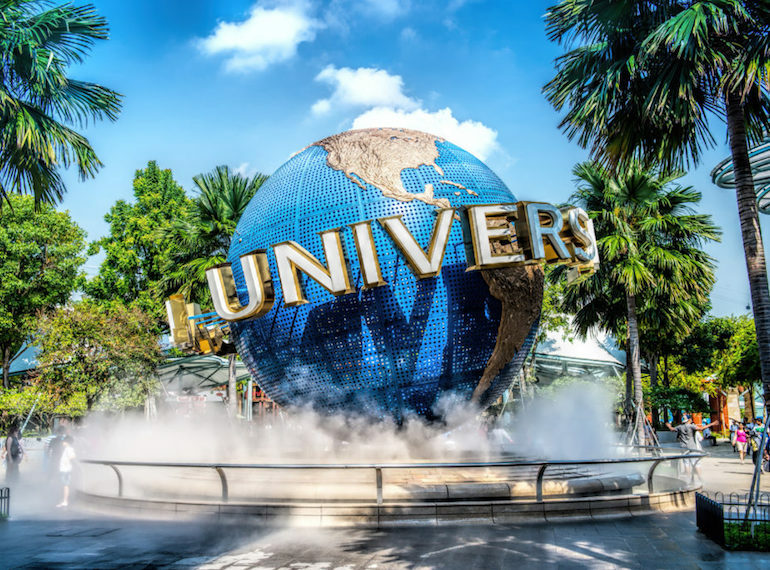 Universal Studios is an amusement park in Singapore. It is a place where you can enjoy playing with your family or friends. You can try so many games and rides in Universal Studios. Interesting attractions are also available. For your recommendation, you can visit this place in weekdays because the ticket price will be more expensive in weekend. You can also visit this place in the morning to avoid queue for getting a ticket. For you who like shopping, Orchard Road is the best place you should visit in Singapore. It is a street where you can buy various souvenirs, clothes, accessories, and many more. 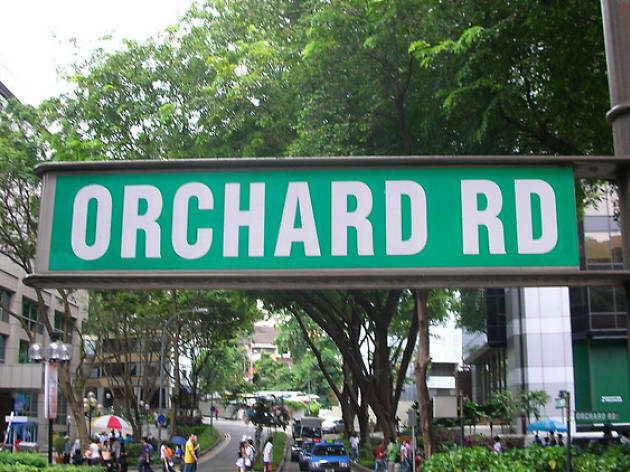 Orchard Road is not only a street, but you can also find restaurants, spa, and other facilities. Get souvenirs for your family by visiting this place. For your recommendation, you can stay at hotel that is near with Orchard Road to make you easy for accessing Orchard Road. 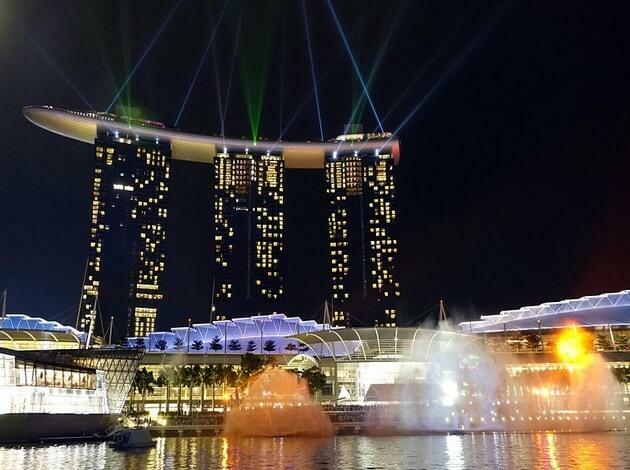 Actually, Singapore has been known as the best place for shopping. 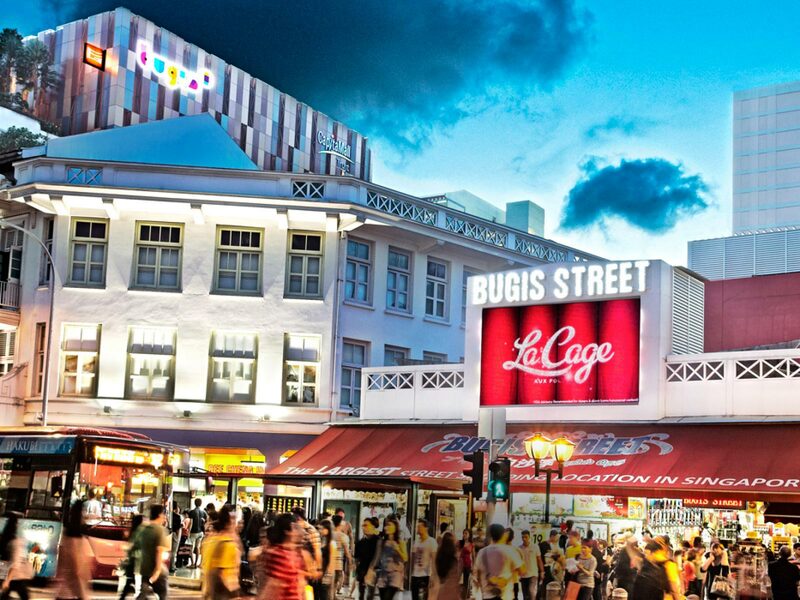 If you can’t find cheap souvenirs or stuff in Orchard Road, you can visit Bugis Street. It is also a street where you can find various things to buy. But, Bugis Street offers cheaper price than Orchard Road. So, this place is much recommended for you who want to buy souvenirs, accessories and other things with cheaper price. 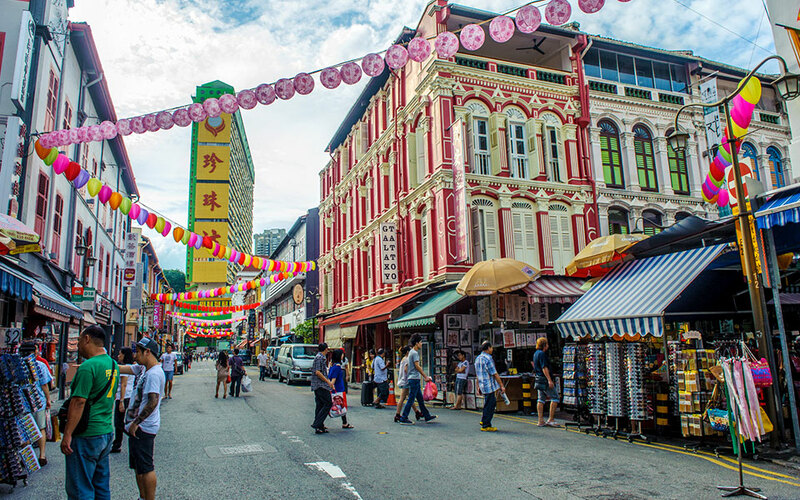 Chinatown is an interesting place you should visit in Singapore. This place has unique nuance, because the decoration, trims, and other things look like China’s decoration. So, the place looks so exotic, and you can buy unique stuff in Chinatown. For you who want to try delicious food in Chinatown, make sure you visit this place when evening or night comes. Yes, food sellers in Chinatown start selling foods when evening comes. If you like seeing various plants, you need to visit Garden by The Bay in Singapore. The view of Gardens by The Bay looks exotic, especially if you visit this place when night comes. Yes, in the night, Gardens by The Bay looks more beautiful because it is trimmed by beautiful lightings. 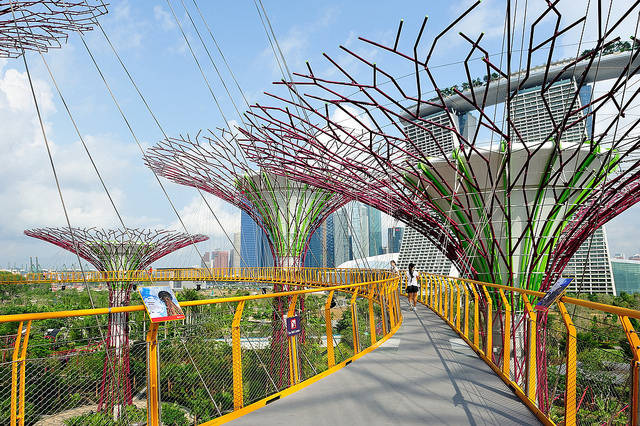 So, you will see adorable view of Gardens by The Bay. Actually, there are still many interesting places in Singapore. Other places of interest in Singapore are Sentosa Island, Little India, Singapore Flyer, Henderson Waves Bridge, and many more.